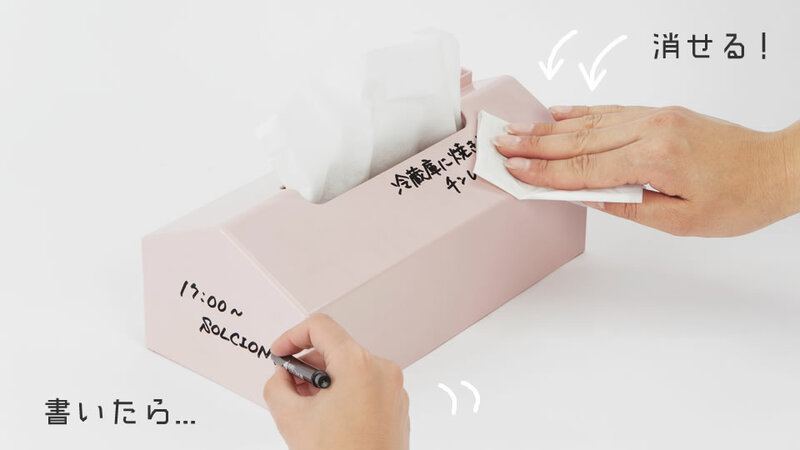 It is a tissue case that can be written with a whiteboard marker. 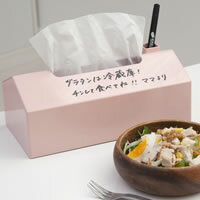 You can use it for a quick memo writing or writing. 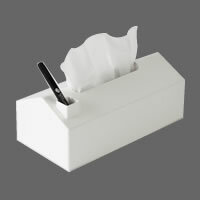 When you want to erase, off with tissue. Can be used repeatedly. Since you can use all six sides, you can write from any orientation. A pretty pastel color and the shape of the house will smile in your room and work and add a soft atmosphere. In the living room, as a message board. 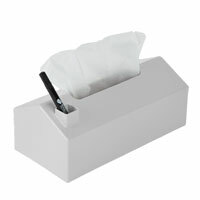 Just put on the box tissue from above with one hand. 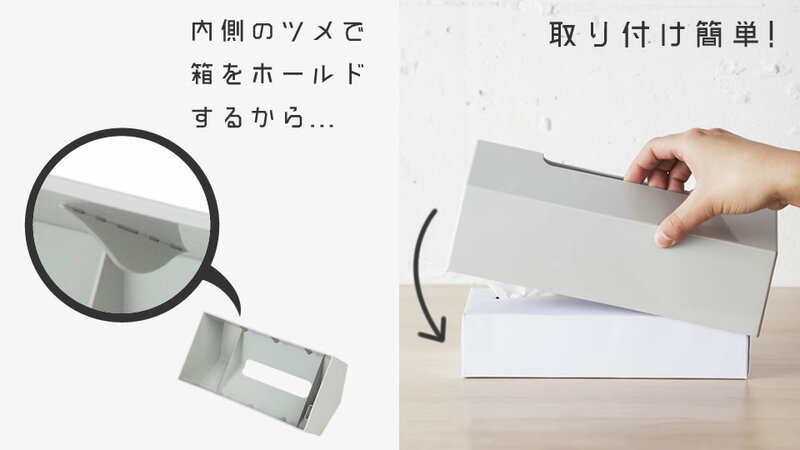 Six claws on the inside of the case sandwich the tissue box and prevent it from falling. ● Because it may cause injury or damage, please do not drop it or give it a strong shock. ● Do not place it in a place exposed to direct sunlight or high temperature. It may discolor and deform. ● Please do not use except the marker for whiteboard. ● Do not scratch the surface with a hard object or scratch it with a sharp object. It may scratch and the character of the marker may not disappear. ● Do not leave characters written on the white board face for a long time. It will be hard to erase. 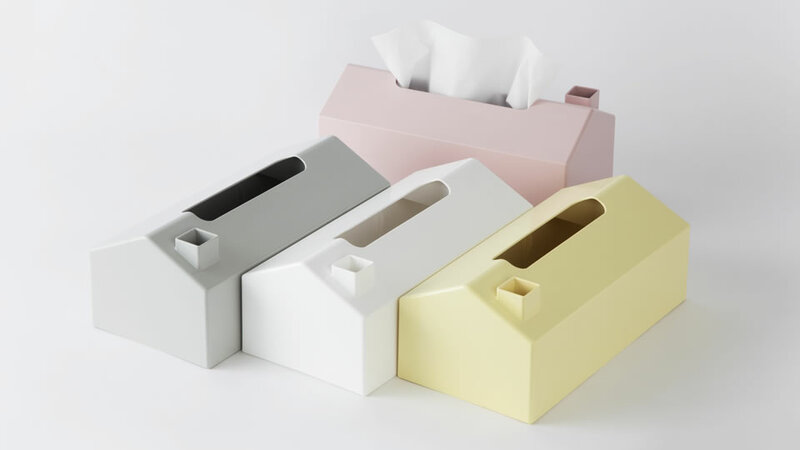 ● Depending on the shape and size of the tissue box, there are things that can not be handled. 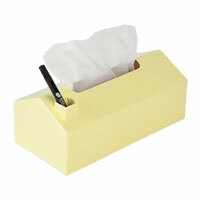 ● Commercial tissue box standard: It corresponds to the size up to height of 65 mm. 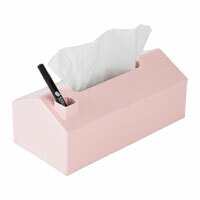 ● Wipe daily care with a dry soft cloth.